This image shows the entire Large Magellanic Cloud, with some of the brightest objects marked. 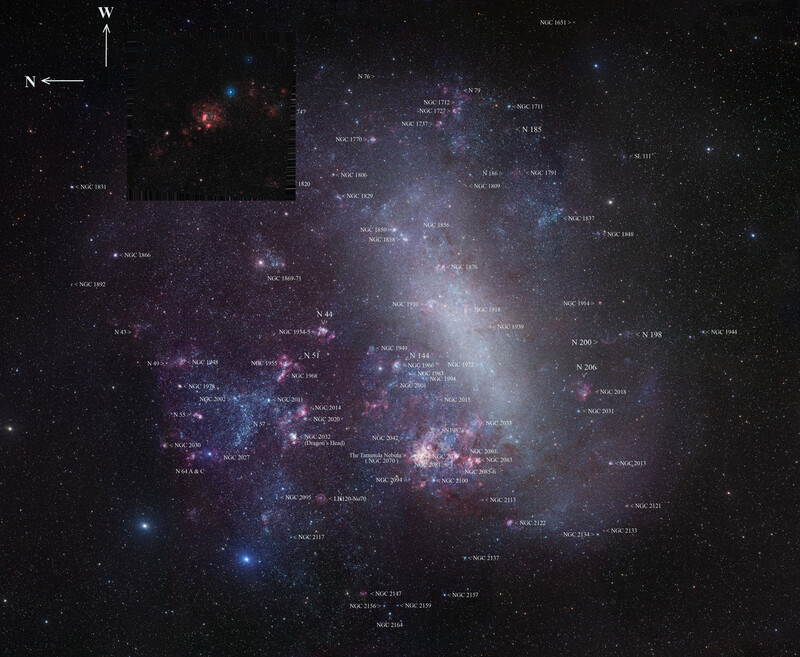 The outline shown corresponds to the overview image from Digitized Sky Survey 2. The field of view is about ten degrees across.